With the new app model introduced with SharePoint 2013, to enable developers to build their SharePoint apps, you need to configure a SharePoint environment for app development. 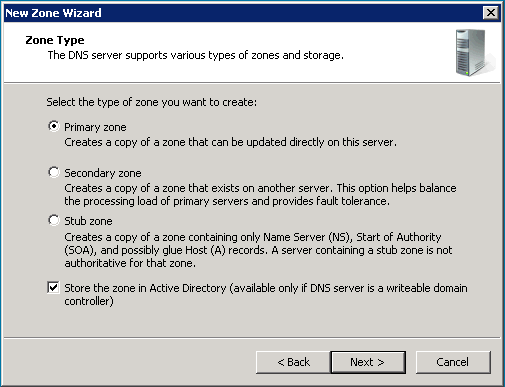 Configure app domain in your DNS server. Create a wildcard SSL certificate for the app domain. Start Subscription Settings and App Management service applications. 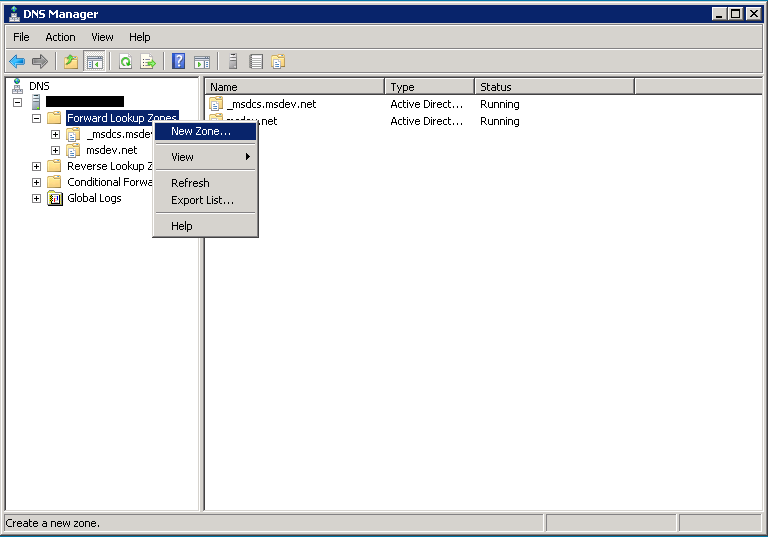 Configure the Subscription Settings service application. 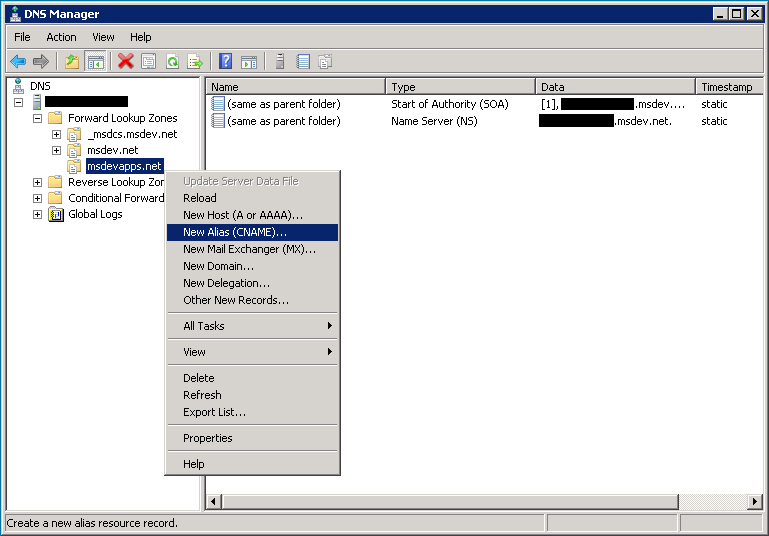 Configure the App Management service application. 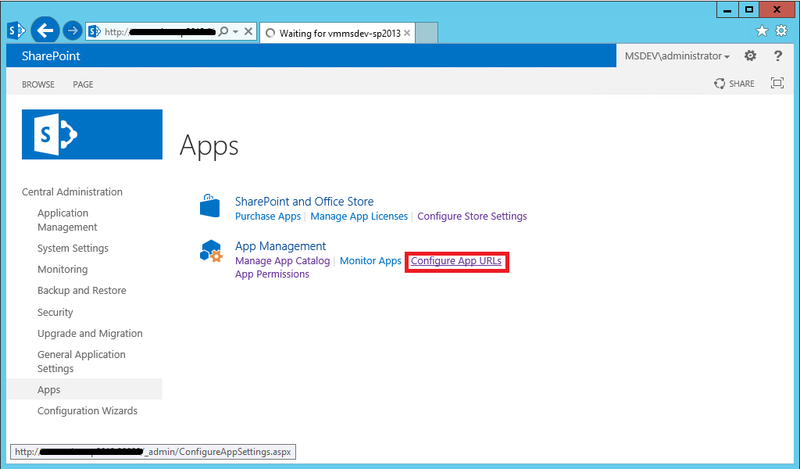 The first step is to create an isolated domain on the developer workstation where your apps for SharePoint will run. This domain should be a URL namespace that you reserve as a namespace for organizing apps. You have the option to create a new unique domain such as contosoapps.com or create a sub-domain of the existing domain such as apps.contoso.com. For security reason is recommended to create a new unique domain. This because the use of a sub-domain could lead to cookie attacks on other non-SharePoint Web based applications in the same domain namespace. 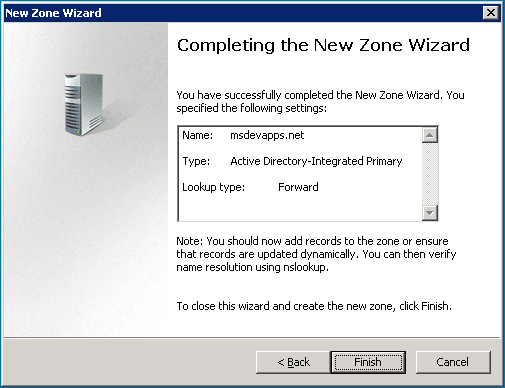 Before the March 2013 Public Update for SharePoint 2013, you could only host one app domain and it had to be in the Default zone. 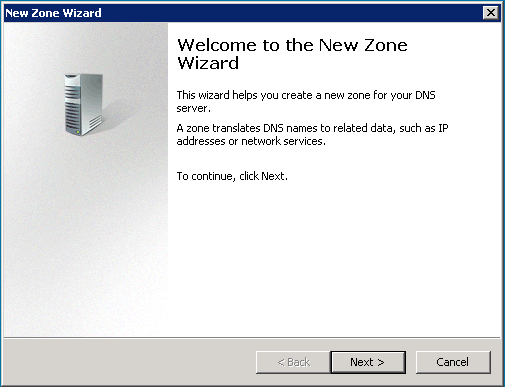 The Public Update enables you to configure an app domain for each web application zone and use alternate access mapping and host-header web application configuration. 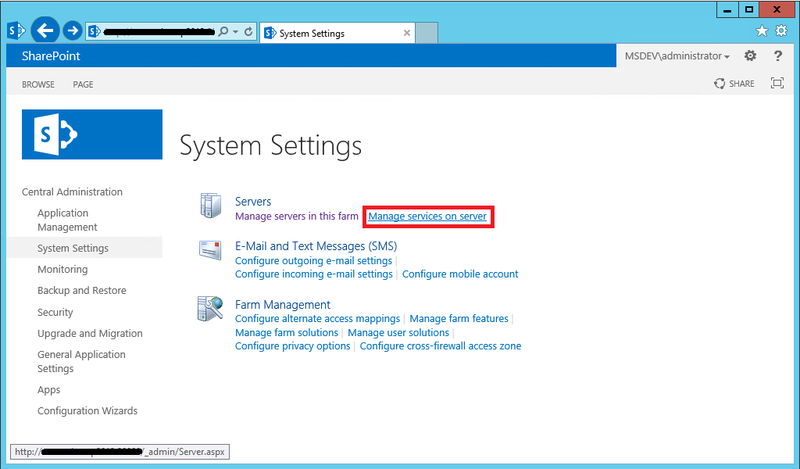 For more information, see Enable apps in AAM or host-header environments for SharePoint 2013. 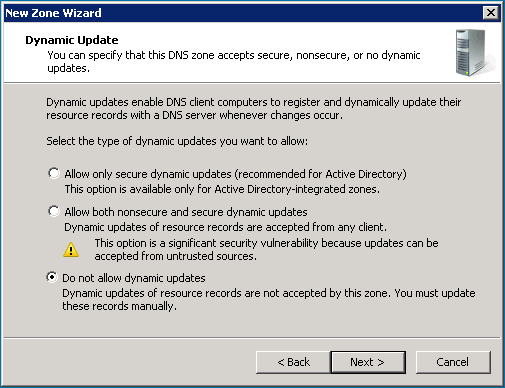 Once you have determinated yor app domain, you need to configure it in your DNS. 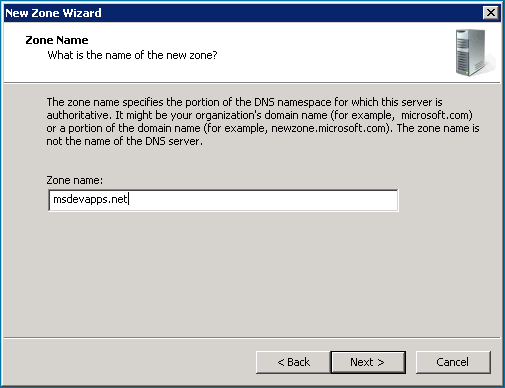 Then create a wildcard alias record (CNAME) for the DNS domain name that allows for individual apps to create unique domain names within your app domain. In the Fully qualified domain name (FQDN) for target host box, insert the domain name of the target that hosts your SharePoint sites. To verify new domain name type ping Apps-12345678ABCDEF.contosoapps.com in a Command Prompt. Now, if you are using Secure Sockets Layer (SSL) for the SharePoint sites in your environment, or if you plan to use apps that use data external to the SharePoint sites, you should use SSL for your apps. To use SSL, you need to create a wildcard SSL certificate (ex. : *.ContosoApps.com) for your app domain because each installed app has its own subdomain. I don’t provide detailed steps to do this because it depends if you plan to request a certificate to your internal CA or if you plan to create a Self-Signed certificate. SharePoint Apps rely on the App Management and Microsoft SharePoint Foundation Subscription Settings service applications. Next step is to create the Subscription Settings service application you have to execute some PowerShell cmdlets. Before to start ensure do you have a managed account under which the SPSubscriptionService and AppManagementServiceInstance service instances will run. 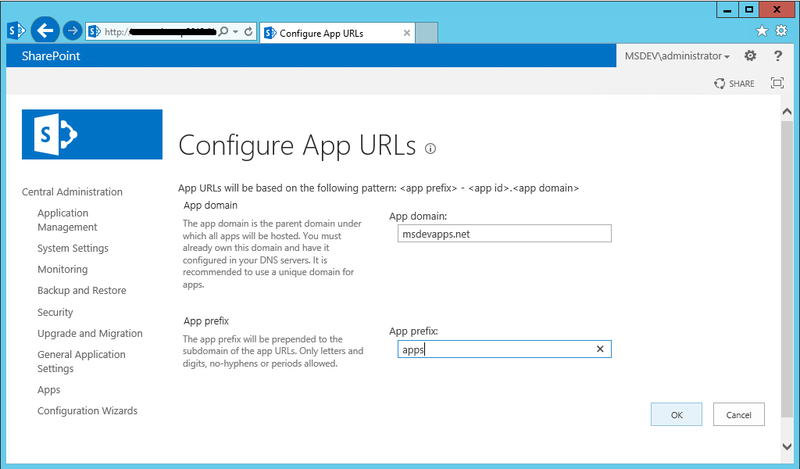 Last step, you need to configure App settings to specify the app domain and the app prefix you will use. As shown in this article, the new app model requires some additional configurations on your environment to allow you to start a development process for your SharePoint apps. I hope this article provides you an understand of what you need and how to configure your development environment. ‹ SharePoint 2013: MicroFeed Web Part throws an exception with SAML based claims users. i Need to install the Sharepoint App in On premise Machine for a HTTPS Site. I have installed successfully for normal(http://) webapplication. facing problem with Https site..Could you pls tell me how to create a wild card ssl and binding for our sharepoint site.? to configure apps with HTTPS you need to create a wildcard SSL certificate for your app domain (ex. : *.ContosoApps.com), you can do it from Internet Information Sevices (IIS) Manager in the “Server Certificates” page of your computer. For production environment you need a certificate issued by a Trusted Certification Autority, for test or lab environment you could use a Self-Signed Certificate. After you have the wildcard certificate installed on your SharePoint machine, you need to bind it to the web site for your web application from IIS. 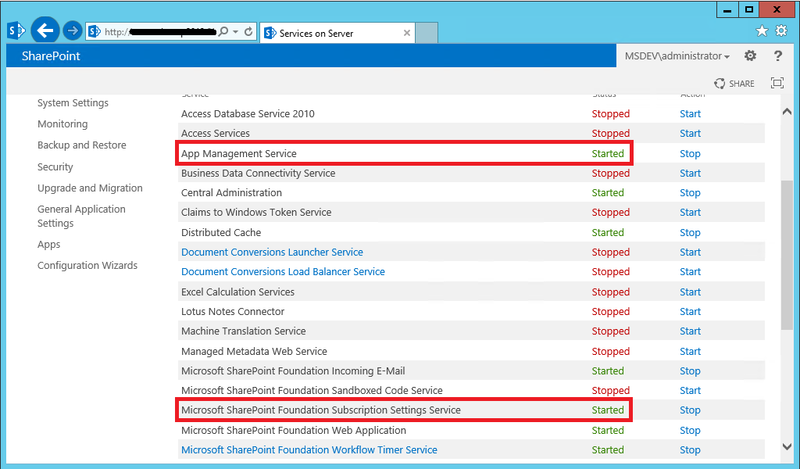 Later you need to trust the wildcard certificate or the CA certificate in your SharePoint farm (Central Administration > Security > Manage Trust) and finally change the Alternate Access Mapping to ensure the SharePoint site is binded to HTTPS. However you have to configure with SSL also the web appliation where you use the apps.